There’s a lot that we really like about Fitbit’s first smartwatch, but ultimately the software niggles make it difficult to put it in the same bracket as the Apple Watch, the best that Android Wear has to offer and Samsung’s Gear smartwatches right now. When those issues are resolved and we are hoping that they are by the time it’s ready to launch in October, then it’s going to be different story altogether. Yes, the design will divide, but it’s one that we’ve grown to accept, just not love. Fitness and sports tracking including the Coach platform make a really good impression and smartwatch features like notifications, music player support and Fitbit Pay work without issue. Then there’s the battery life, which wipes the floor with the competition. The Ionic represents the best of Fitbit, it’s just a shame we’re being made to wait for the complete smartwatch experience. The Fitbit Ionic is significant. Not only because the wearable is Fitbit’s first self-proclaimed smartwatch, but because it feels like the first 24/7 smartwatch. You wake up, get in the shower, go to work, go for a run or swim, go to sleep. At no point do you need to remove it from your wrist; notifications buzz in throughout the day, and with a four-day-plus battery life, that means you can wear it to bed where it can track sleep – luckily, it’s comfortable enough to do so. The result of all this is a more wholesome picture of your day. Neither the Apple Watch, nor any member of the Android Wear watch congregation can claim to do the same right now. In a sense, the Ionic is the archetype of a trend we’re seeing in which fitness trackers and smartwatches blur together. After all, many would call the Fitbit Blaze a smartwatch, and really you wouldn’t be wrong. But like saying Voldemort’s name, Fitbit refuses to use the word smartwatch when talking about the Blaze, presumably for fear that market analysts would then compare shipments against the Apple Watch. But now, it’s game on. The Fitbit Ionic is going head-to-head with the Apple Watch Series 3, and while it doesn’t have LTE to offer, it has the upper hand in some other areas. We’ve been putting the Ionic through its paces for a while now, but we should caution that there are still a few pieces missing. 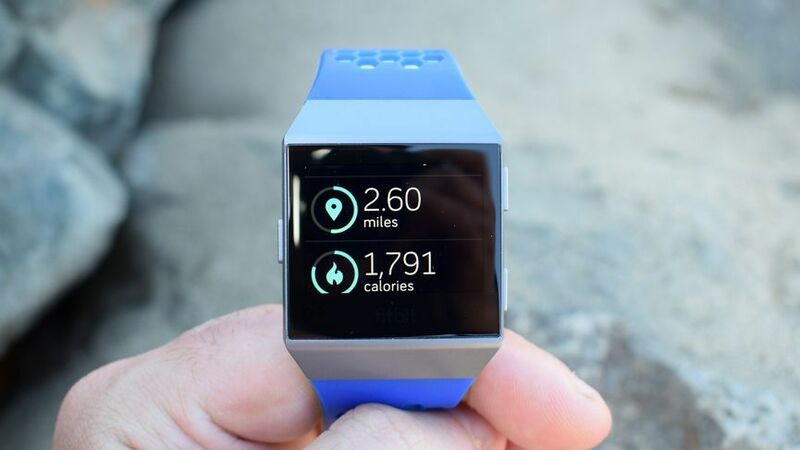 Even with the updated software, Fitbit has some tweaking and adding left to do before the Ionic launches in October. We’ll be revisiting this review shortly after to see if our mind has been changed. But if you’re weighing up a Fitbit Ionic pre-order, read on for the current state of play. The Ionic may trump many number of smartwatches out there on some categories, but looks isn’t none of them. A lot of work has gone into keeping the Ionic thin and light while cramming in GPS, long battery life, a tri-wavelength sensor and a 1,000 nit display, but that’s come at the expense of design. The Ionic still looks like a fitness tracker, with an angular design resembling the Blaze before it, with a slanted aluminium case built by a nano-molding technique we’ve seen in smartphones, but not wearables. We don’t think the Ionic is as ugly as some people have claimed, and the renders betray it a little, but it would be hard to pull this off with fancy formal wear. Perhaps that’s the one break in the all-day chain. You do have the option of other bands, including some snazzier leather straps, but the proprietary system means you have to go with whatever Fitbit has on offer. The Ionic comes in three basic flavours: a blue-grey band with silver watch case; a charcoal band with graphite grey case; and a slate-blue band with a blue-orange case. All of these, Fitbit told us, were loosely inspired by sci-fi movies – orange from The Martian, an Interstellar black, etc. Not that this will likely cross your mind when wearing it, but it’s a little factoid you can whip out should someone compliment your new smartwatch. The button layout is the same as the Blaze – two on the right side and one on the left – but you’re also able to tap and swipe that screen to move through apps and workouts. Having a more tactile option is nice during workouts, especially if you’re going to take this in the pool. 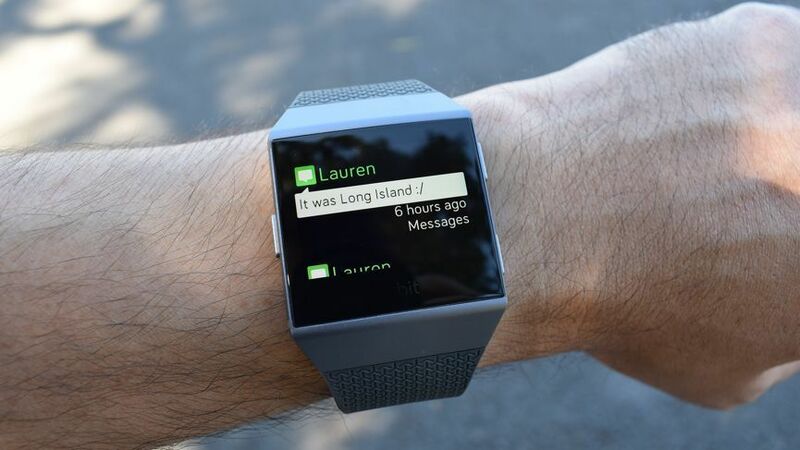 So Fitbit went with a blocky, rectangle display and as the company’s head of design explained to us it had its reasons why it didn’t go with a circular screen. Notably that it made more sense for displaying notifications and its FitStar coaching workouts. The 1.42-inch LCD touchscreen display is smaller than the one included on the Fitbit Blaze (1.66-inch), but the 348 x 250 resolution means there is a bump up in quality. With those pixels crammed into a much smaller space, you do get a sharper, more vibrant display as a result. It’s a bright screen as well, whether you have it’s cranked up to the max setting or in auto mode and visibility is strong in all conditions as well. If you’d ask us if this is the best smartwatch display out there, then we’d say no. Apple and Samsung still reign in that department. It’s still a solid touchscreen display and we have little complaints even it offers less screen estate than its competitors. 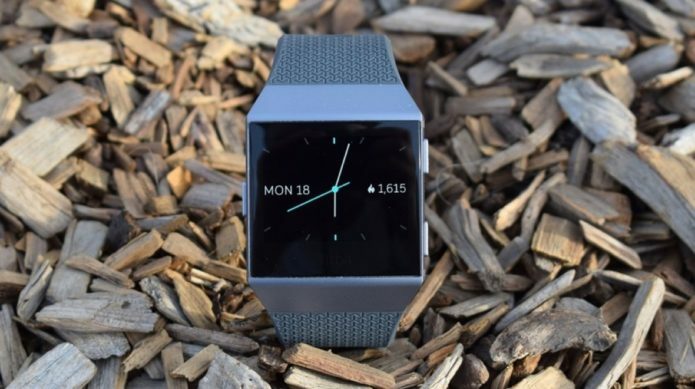 By now, Fitbit has got the basic activity tracking covered. Even if you’re not here for the workouts, the Ionic may be enough to woo people who want to track their steps and have the benefits of a smartwatch. You will of course get your basic calorie tracking and stairs climbed too, along with your resting heart rate throughout the day. In fact there are several watch faces that display your resting heart rate at all times, should you want to keep a closer eye on it. Scroll along to the ‘Today’ app and you can get an overview of everything from steps to miles covered, but you’ll still get deeper insights, including a heart rate graph, by opening the smartphone app. 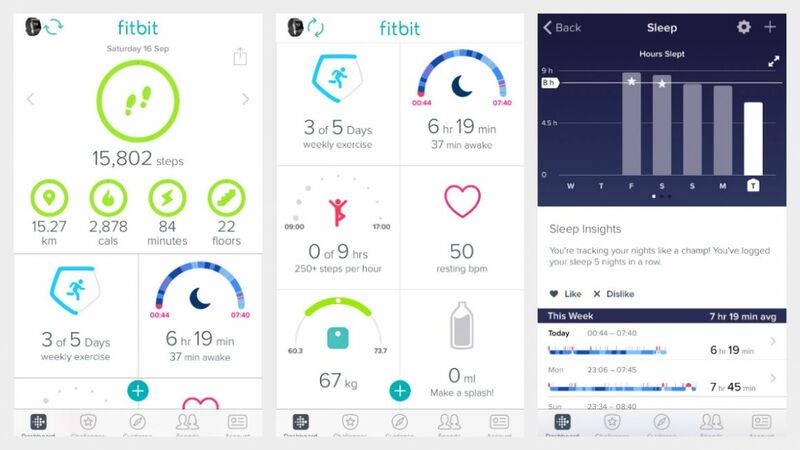 Fitbit has been working hard on its sleep tracking over the past few months, and the Ionic arrives all the stronger for it. Right out the box you’ll have access to Sleep Stages, which breaks down your sleep through the night by analysing accelerometer and heart rate data, and Sleep Insights, which gives back tips to improve your shut-eye. In terms of accuracy, we found it to be on par with the Alta HR, which is no surprise as Fitbit says the technology is just the same. Which is to say it’s good; put up against the Beddit 3, which I still find to be the most accurate sleep tracker around, its results were comparable. Where it sometimes comes unstuck – like the Alta HR – is in detecting when I’m awake. On one occasion it told us that we’d woken up 20 minutes later than we had, but that was the most peculiar result we’ve had with it. Generally, it’s been very good. In this department not much has changed, but it’s what’s to come that’s much more exciting. 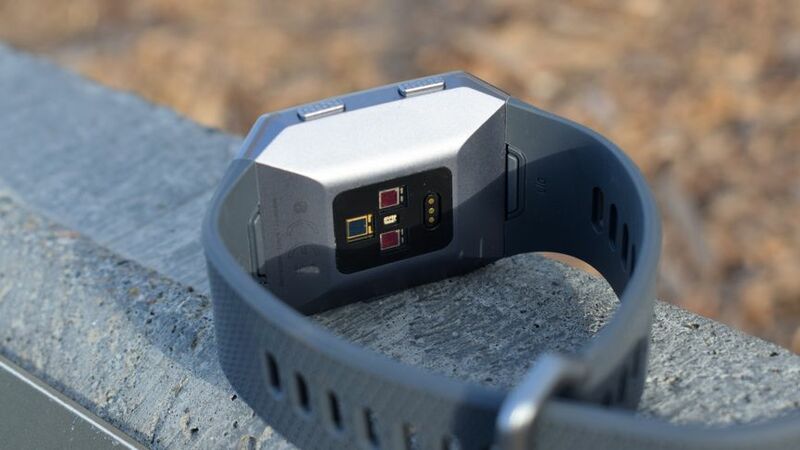 That tri-wavelength sensor we mentioned – it will let Fitbit track relative SpO2, a measure of oxygen in the blood, that will be able to tell Fitbit if you have sleep apnea. The company also announced it’s teaming up with Dexcom so that diabetics who track their glucose with one of Dexcom’s continuous monitors will soon get that data beamed straight to the Ionic. The benefit of that should not be underestimated, but crucially, none of these features are yet live, and they’ve not been tested. They’re promises, and how much credence you give them is up to you to decide. When you want to go beyond counting steps, it’s time to step up to Exercise mode. It’s here where the altimeter, accelerometer, compass, GPS and heart rate monitor are brought into play. Along with Fitbit’s SmartTrack tech to automatically recognise a host of different exercises there’s dedicated modes for tracking running, cycling, swimming and treadmill running. There’s also dedicated modes for weights and general workouts, but don’t expect to get the additional metrics delivered with the Ionic’s core sports tracking modes. 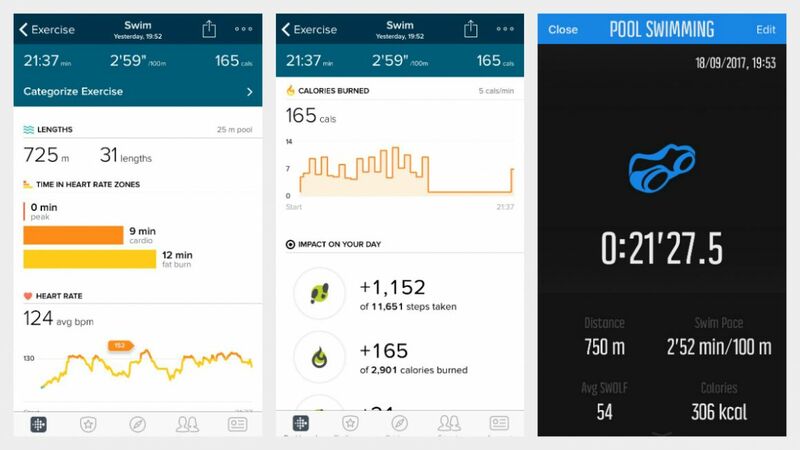 Here’s what we made of what the Ionic has to offer in the sports tracking department so far. 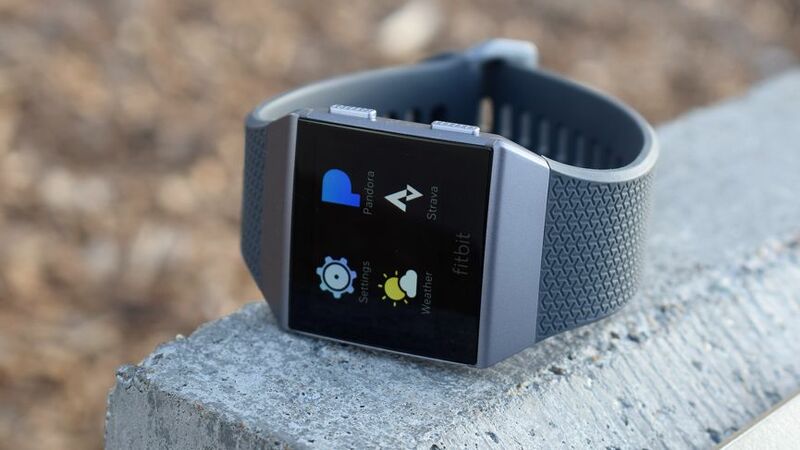 Fitbit told us that most people use its devices for walking and running and with the Ionic essentially replacing the retired Surge as Fitbit’s only device with GPS built in, many people’s go to device for running, we were hoping for good things from the Ionic. Before you get up and running, there’s a small handful of options to explore before hitting ‘start’. You can set up cues that will send a vibrating nudge when you hit a certain distance and the ability to customise stats (distance, pace, average pace, heart rate, calories burned, steps and time of the day). You’re not going to see information on things like cadence, but then the Ionic never tries to be a high-end Garmin or a Polar running watch by serving up those additional running metrics. It’s about keeping things simple here and that’s exactly what it achieves. The only other additional modes are turning on auto-pause and run detection so that you don’t even need to go through this process at all to track. No one likes waiting around for GPS to kick in and thankfully the antenna packed into the Ionic usually takes no longer than a minute or so to jump into action. Once you get moving, you can swipe through the middle of the display or hit the physical button on the left hand side of the display to change data fields with the physical buttons on the right assigned to pausing and ending workouts. The touchscreen is pretty responsive although when things get wet and rainy, you’ll be relying on those physical buttons for navigation. When a run is finished and saved you can see a summary on the watch but you need to sync the activity with the phone to see maps and heart rate graphs. Below is a sample run and the kind of data you can expect to see in comparison to what we recorded with the Polar Beat iPhone app. There weren’t any accuracy dramas and average pace data was generally on the money. Running activity like all other activities contribute to you overall steps, calorie burn and active minute totals for the day, and with a dedicated app for Strava and hopefully more to come, that data doesn’t just have to live inside Fitbit’s app. Treadmill running is also supported on the Ionic tracking distance, average pace and heart rate data. Without GPS, you’re relying on the accelerometer to track performance, which always sees a drop in accuracy but we actually felt the Ionic did a good job here too. For cycling, you can expect to get similar settings at your disposal that you get with run tracking including turning on auto pause, setting up data cues and customised stats that can be displayed during a ride. Again, you’ll get a snapshot of you workout summary, but you’ll need to venture into the app to see your ride in detail with mapped routes, speed, heart rate zones and calories burned. We took it for a ride with the Suunto Spartan Trainer Wrist HR and distance and speed were generally in the right ball park, but we’ll be spending a lot more time in the coming months putting the Ionic through its paces out on a bike. 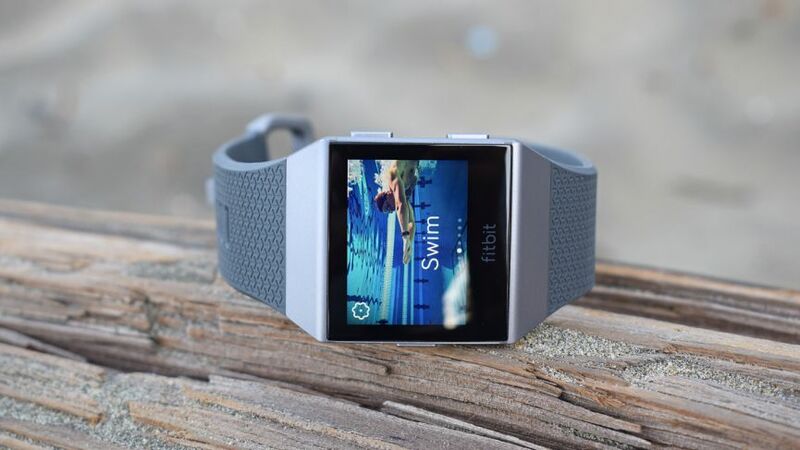 We had pretty positive things to say about the Fitbit Flex 2’s swim tracking skills but what was really lacking from the experience was actually knowing what progress you were making during your pool time. That’s been addressed with the Ionic where you can now keep track of lengths, distance covered and workout duration on the touchscreen display. When you delve into the app, you also be able to see a stroke recognition as well and we found it spot on. There’s no SWOLF data available, so data-hungry swimmers might find the experience a little underwhelming. But there’s still enough here to get a better sense of your performance in the pool. The waterproof design also extends to open water swimming, but there’s a bit of a clanger: unlike the Apple Watch Series 2 or a Garmin Fenix 5, there is no proper open water swimming, while you can take it for a dip in the sea and use the cues to measure how much distance you’ve covered. In the pool, it’s a solid performer. You won’t have much reason to tinker with the screen as there’s no additional metrics to review and up against the Suunto Spartan Trainer Wrist HR data there was only a difference of one length. Inside the app you can additionally see calories burned and a break down of heart rate data although we wouldn’t read too much into that HR data. Water and optical sensors just don’t mix. Up against the Apple Watch Series 2 over 20 lengths, the Fitbit Ionic counted one length too many, while the Apple Watch got it spot on. There was definitely some post-swim correcting done in the app, and interestingly the Ionic got the yard distance as dead on 500 – correct and same as the Apple Watch – even though it accounted for that one extra length. It’s worth noting that the Apple Watch got our strokes wrong for the most part, so it’s not done seamlessly elsewhere. So this is a big one. Does the Fitbit Ionic deliver accurate heart rate data? We’ve written many a word on the reliability of wrist-based heart rate monitors and the numerous factors that can affect readings. From the Charge HR all the way to the Alta HR, our own testing shows that Fitbit’s PurePulse tech is not perfect, but the same criticism has been levelled at Apple’s sensor setup or Garmin’s Elevate heart rate technology. So how does the Ionic fare? Like a Facebook relationship status, let’s just say it’s complicated. In terms of the heart rate data the Ionic can deliver, you’ll be able to see resting heart rate information throughout the day, real-time bpm readings through all workout modes and set up heart rate zones for interval training. If we deal with resting heart rate data first, we have no issues on the accuracy front and that’s perhaps not all that surprising when those readings are taken when you are stationary. We compared it to Polar’s H10 chest strap and readings were identical on every occasion. When we move onto exercise mode that’s where things get interesting. Once again, we used the H10 chest strap as the benchmark for our testing. We went out running, tried out some of the Coach workouts, jumped on the rowing machine and put it to the gym test. What we found is a couple of things. The first is that those coach workouts provided pretty reliable readings but when it’s time to turn to do something more intensive like running, things change. A glance down at our Ionic and at the Polar Beat iPhone app at times showed readings that had a difference of as much as 10 bpm. It was a similar story when we jumped on the treadmill giving us very unrealistic read outs for time spent in heart rate zones. When it comes to reviewing that data in the app, the graphs don’t really suggest that readings have been wildly off during a session but average and max bpm readings tended to be 4-5 beats off overall. In a word, it’s uneven. On another run, it did a good job of keeping up with the Polar H10 as we kept up the higher intensity in the second half of the run. At the end the Ionic read a high of 182 against the Polar’s 183, with averages of 166 bpm and 167 bpm respectively. More concerning was the next run, where readings went totally AWOL. To start, heart rate was spiking on the Ionic even before we began running, 20-30 ppm higher than what the chest strap read, and that continued for a while at the start of the run before evening out. Along the way, we also noticed the readings were off by about 10 bpm at times, but then the whole thing seemed to crash with no warning. Strangely enough, later on that day the app registered the workout… but said it had lasted three hours (I’d actually run for about 45 minutes). It seems like, despite crashing, it was still registering a running workout in the background, even during the pool testing I did afterwards. This was on the review-ready software, so I hope this is something Fitbit can nix before launch. As we say, it only happened once in our testing. 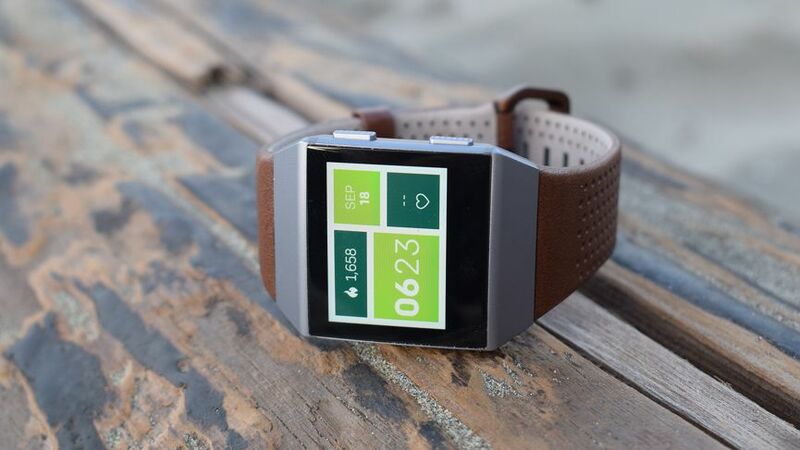 Bottom line: we’ve got varying results with heart rate monitoring on the Ionic. Sometimes it’s spot on, other times, it most definitely is not. While this latest version of Fitbit’s PurePulse tech is supposed be an improvement on previous versions, based on our experience it’s still hit and miss depending on the type of activity you’re doing and the intensity of the workout. 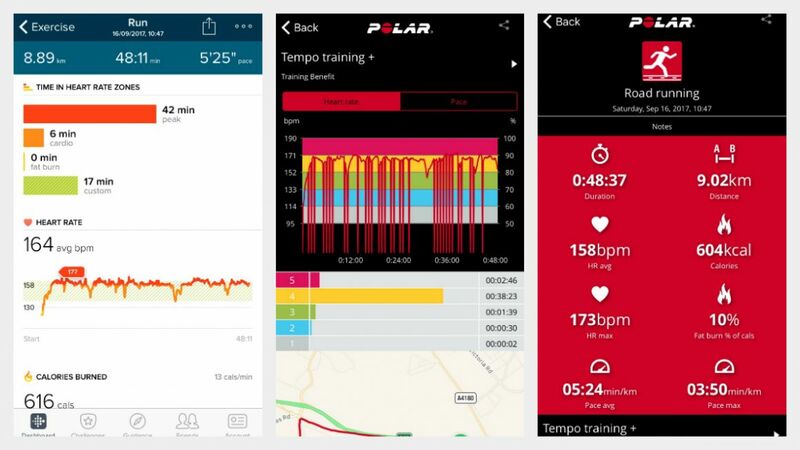 The built-in Coach app is Fitbit’s personal training app powered by FitStar. It’s all about offering workouts of varying difficulties and duration, if you want to take on a more structured workout. 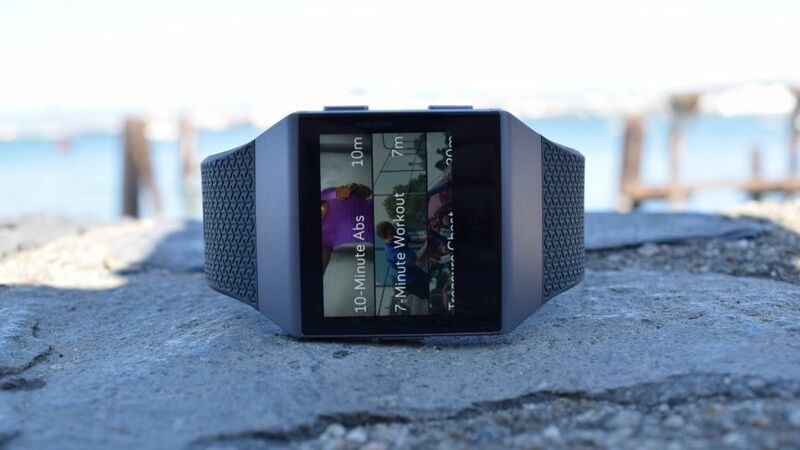 The experience is split between the watch and the Fitbit app, so you can follow some workouts from the Ionic’s screen like you could on the Fitbit Blaze, but other workouts are currently only accessible through the Fitbit app. The idea is that these workouts adapt based on your progress to make them feel more unique and personal. So when it noticed that we had been swimming for instance, it recommended beach body and cardio workouts to try out next. From the watch you can currently access three workouts. That’s 10 minute abs, 7-minute workout and Treasure Chest. We’re hoping unlike the Blaze, there’ll be more than three workouts available at launch, but that’s our lot right now. 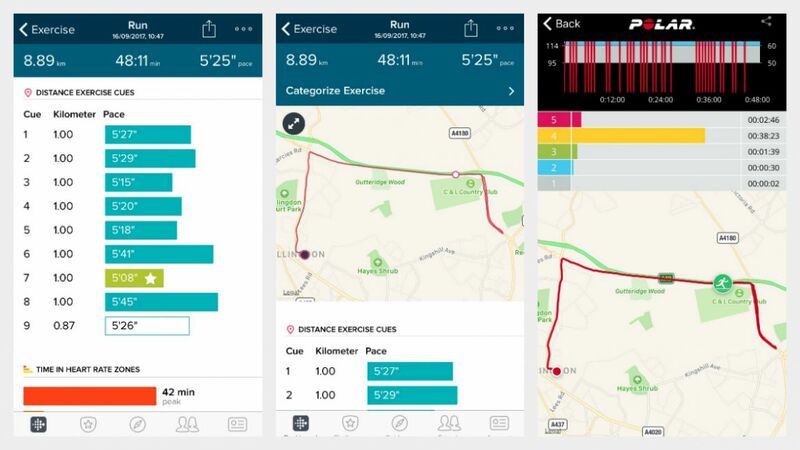 Fitbit is adding guided lifestyle coaching plans into the app, including Beginner Runner (couch to 5k) and Beat That Sugar Habit, but these aren’t yet live. As the names suggest, the workouts range in duration and focus on different parts of the body. Once you’ve registered as a Fitstar user through the app and picked your trainer you can start accessing the workouts. When you hit start, you’ll get a small animation of the exercise and then it’s up to you to get working out. It sadly count reps, but it does provide a guidance as to how many reps you should be doing during that period. If you’re relatively fit, you might find some of the shorter workouts not all that demanding but they will definitely push you with planks, squats and more. 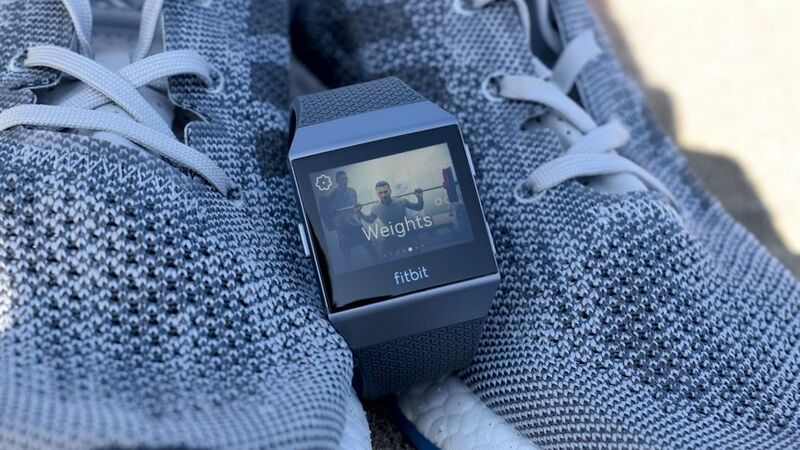 The FitStar integration is one of Fitbit’s great strengths as a platform, and if it continues to evolve and delivers on those personalised recommendations it should be one of the reason you’d want an Ionic in your life. However, Fitbit plans to put a significant portion of its Coach workouts behind a paywall, and we’d want more than the three workouts currently live to really recommend this feature. Unfortunately, there were some features that we weren’t able to test like the audio coaching and Fitbit Radio. It’s a pattern emerging once again that we are not getting the full Ionic package just yet. When Fitbit bought payment startup Coin, it was a sure sign of what was on its mind. And with Ionic it’s debuting its wearable payments platform named – ready for it? – Fitbit Pay. Fitbit Pay joins Android Pay, Apple Pay, Samsung Pay and now Garmin Pay in letting you purchase things with a tap of the wrist. 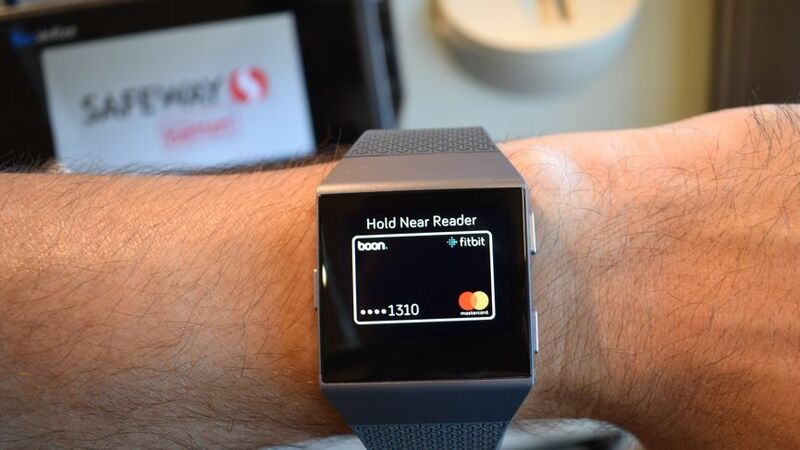 Through the app you just need to register your card, and Fitbit promises to support a wide range of issuing banks out the gate, though it remains to be seen how good that support will be. As we saw with Apple and Android Pay, it can take a while for banks to get on board, but we know HSBC, Capital One and Royal Bank are among early names, with more to be added soon. You also need to set up a passcode on the Ionic itself, and this is the fiddly bit, as it’s not easy to hit the tiny number pad with pinpoint accuracy. But it’s a price to pay to not risk someone swiping your Ionic for a shopping spree on your dime. From there, to make a payment you just have to hold the left hand button and a tiny bank card will show up on the screen. The last part you need, of course, is a wireless payment terminal, which not every store will have. That’s especially the case in the US, which continues to drag behind. Samsung Pay still has the upper hand with its support for magnetic strip payments, but anywhere that can accept NFC payments will be able to work with Fitbit Pay. Ignore anyone who tells you otherwise. When we asked CEO James Park where the distinction between fitness tracker and smartwatch lay, apps was one of his examples. And this is going to be a real testing ground for the Ionic, which is going up against two ecosystems in particular, Android Wear and watchOS, which have had a lot more time to get apps and developers under their belt. 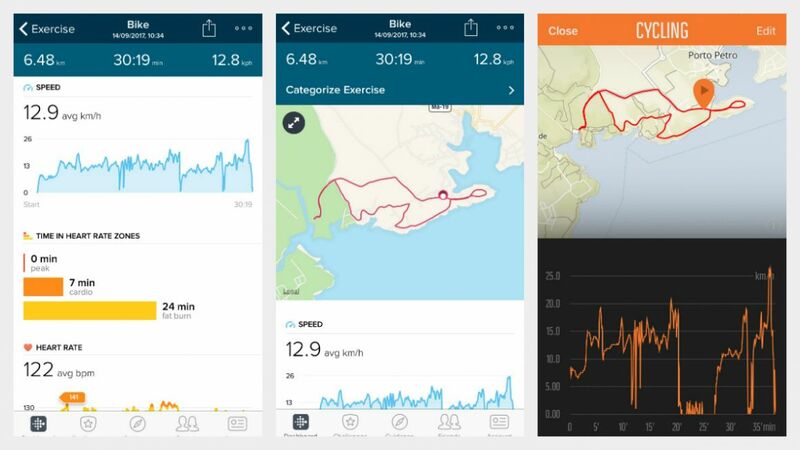 Out the gate, the Ionic is launching with a handful of first-party apps but only four third-party offerings: Strava, AccuWeather, Starbucks and Pandora. That last one won’t apply to you if you’re in Europe. So what will music service will you get instead? No, really, we’re asking. 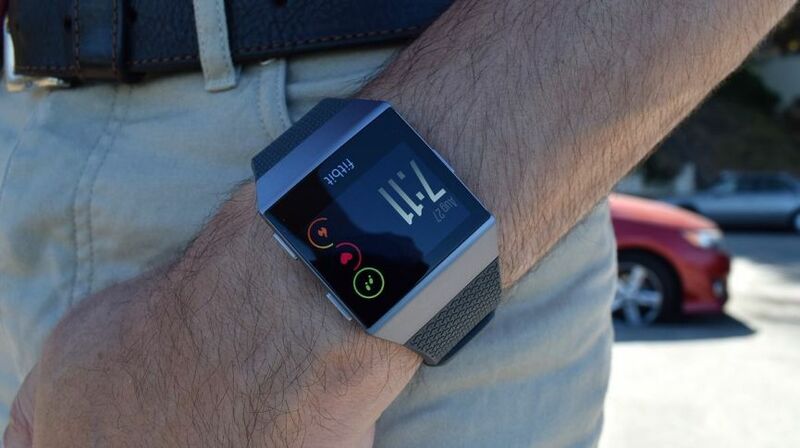 Fitbit still won’t tell us, and that’s not great this late in the game. Granted, the Ionic won’t launch for another month, but the fact Fitbit can’t yet say which streaming service it will be partnering with for Europe is raising a few eyebrows at Wareable HQ. 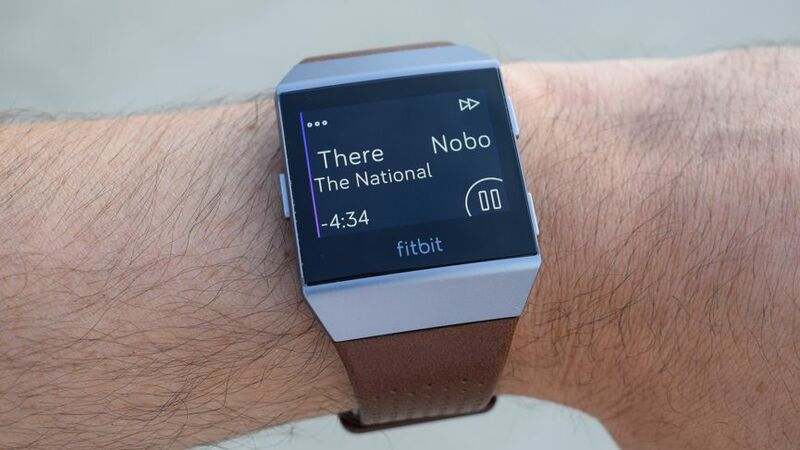 But while Fitbit tries to lock down a streaming partner outside of the US, the good news is that you can put music right on the watch with Fitbit’s own music app. To do this, you need to go through the desktop Fitbit Connect app and select the files you want to sync. Once on there, it’s a case of pairing your Bluetooth headphones with the watch and you’re away. We’ve had no problems pairing multiple headphones, including Apple’s AirPods and the Fitbit Flyer, the company’s own Bluetooth headphones that also launch in October. Over four days battery life with a super bright screen you say? 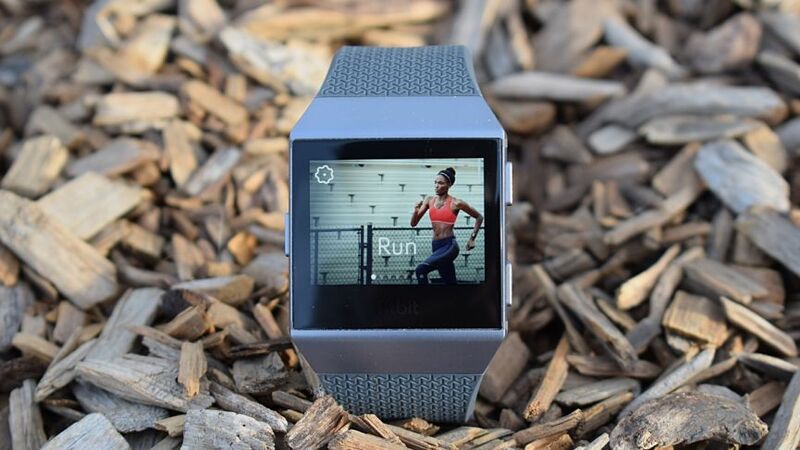 We didn’t really believe Fitbit could pull it off but it really has. While the Apple Watch will make it through a day, the Ionic has done the unimaginable and can keep going much longer. With some pretty intensive use, that’s with the screen cranked up to full brightness, notifications filtering through and multiple tracking sessions, we comfortably made it through three days. In a more realistic scenario where we’d probably be doing a lot less tracking, there’s every possibility the Ionic could make four days and maybe a day more than that, which is music to the ears of frequent travellers who can leave the charger at home. GPS battery life is claimed to be around 10 hours and we’d be inclined to agree with that based on our time with the Ionic. No, it’s not best in class, but it’s still a good showing, and the GPS doesn’t have a detrimental impact on battery life, knocking off less than 10% from a 40-50 minute run. How Fitbit has done it, we’re not quite sure, but it leaves us feeling optimistic that things could get even better in the future.